Dockers D1 Slim Fit "Soft Khakis" are on sale for only $30, with my picks. 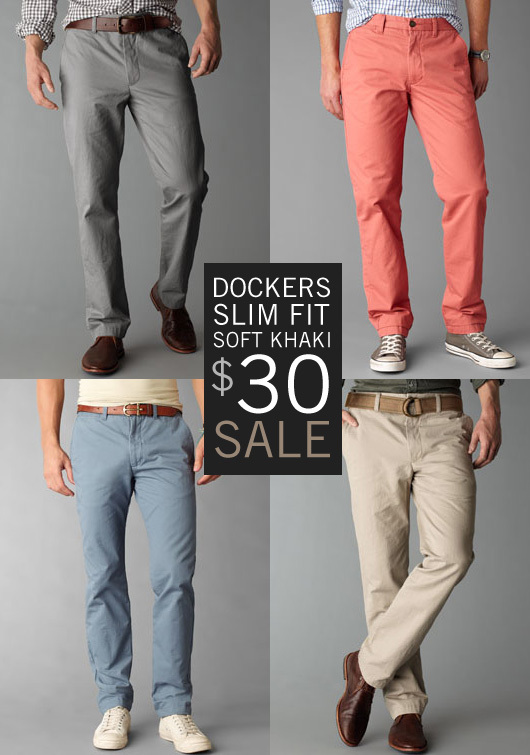 Now that you know how your pants should fit, pick up some new chinos from Dockers for only $30. Dockers' line of “Soft Khakis” which feature their D1 fit is on sale in several different colors perfect for spring and summer. The D1 has a slim cut through the seat and thigh with a straight leg. 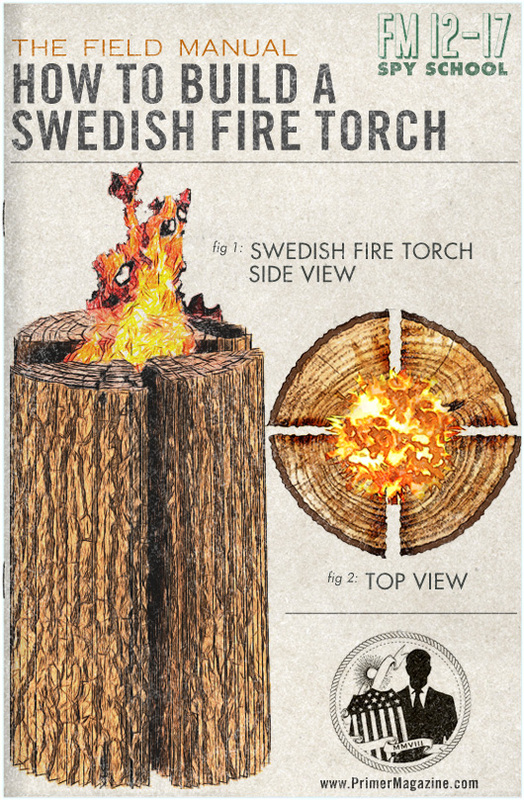 If you're not on board with their Alpha collection which features a tapered leg, these might provide the right cut for you. Some have likened the D1 cut to the Levis 514 and the Alpha to the Levis 511 (if those references mean anything to you). If you're not sure what color to get, my preferences in order would be: gray, blue, salmon, light khaki. A pair of these would match well with The Getups like Versatile Casual, The Casual Date, A Full Saturday, A Good Day at the Office, and Mid-week Smart Casual. I bought a pair of D1 khakis about a year ago when they were on sale, and I have to say that I am far from impressed. The sizing was pretty off, and the fit was far from “slim” or anything remotely resembling the 514 fit. All in all, it looked nothing like the pictures. But with that said, from what I read, it’s sometimes a hit or miss. So I probably got the big MISS on my pair I bought. I have to agree with Will. I would spend a little extra and go with Emerson chinos (from BR). Those things will last for a long time and they fit me perfectly (I’m pretty picky about pants too). I wanted to like the Dockers but they felt uncomfortable and seemed cheap to me, like they would fall apart after a few weeks of wearing them. You can get 20% off and free shipping with the coupon code WELCOME2011. I believe it expires 5/9/12. Hey, thanks for the tip! But the color links aren’t working. Please fix? Thanks so much. Just ordered a pair. . . as a 38×32 size I’m interested to see how this works out. . . Also if you subscribe to receive emails from Dockers you get 20% off and free shipping. . .should be located in the top left corner of their site. I’m 6’1″, 175, I like Levis 514s, but I could barely squeeze into these D1s and they looked bad. The D2s are perfect but have bland colors. @JB: Me too. Well, sorta. I’m an inch shorter, and 10# heavier, but I’ve had zero luck with the D1s I’ve tried on. I prefer the D2s; especially those mini-cord-ish ones (I forget what that’s called – “worn” or something). They’re not cords, as they are nearly as light as the regular chinos, but they have a little more form and texture to the feel. Anyway, I really wanted to like the D1s, but as of yet, I can’t seem to feel right in them. Oh, and my jeans of choice are 501s, but I also wear a pair of 514s every now and then too. ^ Of course, I guess maybe dropping that additional 10# wouldn’t hurt the fit, but still if 6’1″/175 doesn’t work, I doubt 6’0″/185 would. Plus, like that’s really gonna happen. Ah well. D2s and 501s will have to do. Nice collection andrew. Dockers chino are pretty fine, specially I love the pinkish chino for the casual wearing.